Botanical name Syzygium aromaticum L.
Botanical synonym Eugenia caryophyllata Thunb., Eugenia aromatica L.
Color/Consistency A clear pale yellow to yellow liquid of medium consistency. Aromatic Summary / Note / Strength of Aroma A middle note of medium aroma, Clove Bud Essential Oil smells like the actual spice. Blends With Blends well with other spice oils including Cinnamon Bar, Nutmeg, Citronella, Grapefruit, Lemon, Orange, Peppermint, Rosemary and Rose. Indigenous to Indonesia and Madagascar, cloves can be found in nature as the unopened pink flower buds of the evergreen tree. Picked by hand the buds and flowewrs are dried until they turn brown and, after grinding them, the powder is used in cooking or converted into an essential oil for various medicinal purposes. 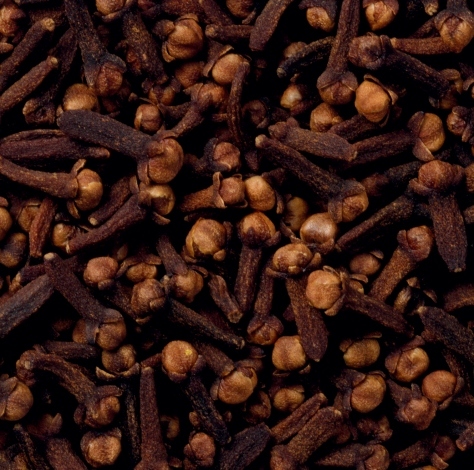 Unlike most other spices, cloves can be grown throughout the entire year, which has given native tribes that use it a distinct advantage over other cultures because the health benefits can be enjoyed more readily. Archeologists have found cloves in a ceramic vessel in Syria, with evidence that dates the find to within a few years of 1721 BC. 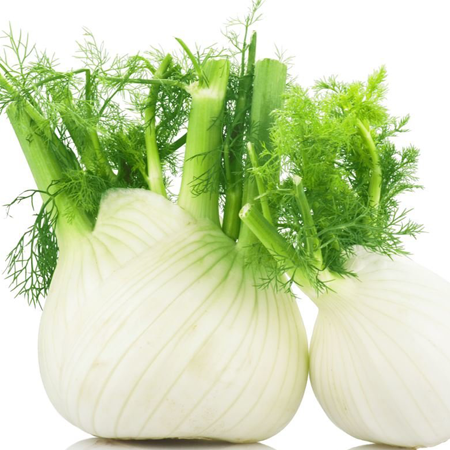 In the third century BC, a Chinese leader in the Han Dynasty required those who addressed him to chew cloves to freshen their breath. 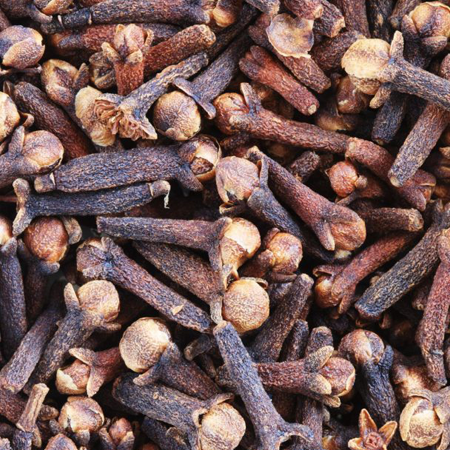 Cloves were traded by Muslim sailors and merchants during the Middle Ages in the profitable Indian Ocean trade, the clove trade is also mentioned by Ibn Battula and even famous Arabian Nights characters such as Sinbad the Sailor are known to have bought and sold cloves from India. Essential oil from clove buds and flowers with CO2 was explored. 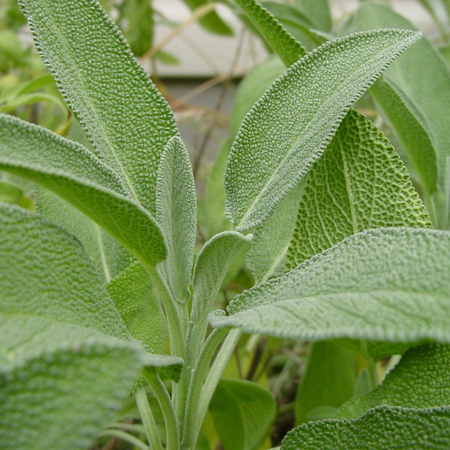 The effect of different parameters, such as temperature pressure and particle size on the extraction yield and the content of eugenol in extracts was investigated using three-level orthogonal array design. 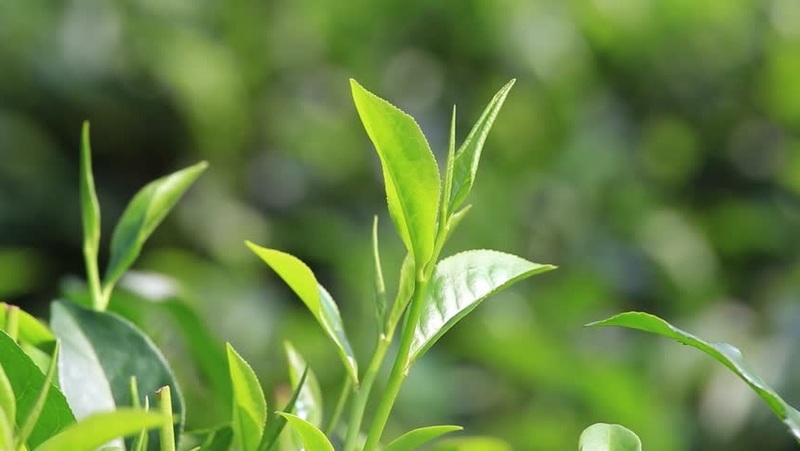 The experimental results show that the temperature has the largest effect on the eugenol content of the extracts, and particle size has the maximum effect on the oil yield. Clove oil is often added in cosmetic creams and lotions, and it is commonly known as a good massage oil that provides relief from pain and stress. Quality Clove bud oil may be adulterated with clove stem or leaf oils, or with eugenol. Hazards Drug interaction; may contain methyleugenol; may inhibit blood clotting; embryotoxicity; skin sensitization, mucous membrane irritation . Cautions May interact with pethidine, MAOIs or SSRIs. Anticoagulant medication, major surgery, peptic ulcer, hemophilia, other bleeding disorders. Cautions Hypersensitive, diseased or damaged skin, children under 2 years of age. Maximum dermal use level. IFRA recommends a maximum dermal use level for eugenol of 0.5% for most product types, in order to avoid skin sensitization. IFRA recommends a maximum dermal use level for isoeugenol of 0.02% in products that will come into contact with the skin. IFRA recommends that the maximum concentration of methyleugenol for leave-on products such as body lotion should be 0.0004% The equivalent SCCNFP maximum is 0.0002%. Adverse skin reactions In a 48 hour occlusive patch test on 50 Italian volunteers, undiluted clove oil produced no adverse reactions. Similarly tested at 1%, it produced one reaction in 380 eczema patients. Undiluted clove bud oil was moderately irritating to rabbits, but was not irritating to mice; tested at 5% on 25 volunteers it was neither irritating nor sensitizing. Both isoeugenol and, to a lesser extent, eugenol are potential sensitizing agents. Clove bud oil is non-phototoxic. Clove oil was cytotoxic to skin cells in vitro, at concentrations as low as 0.03%, suggesting a potential for skin irritancy. 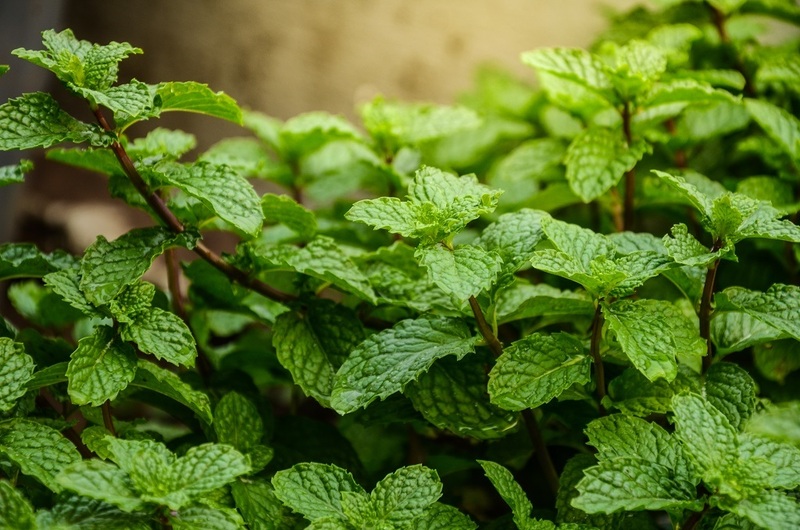 In closed-patch tests, clove oil caused primary irritation in two out of 25 normal subjects when applied at 20%, but evoked no reaction when tested at 2% on 30 normal subjects, nor when tested at 0.5% on dermatitis patients. In a study of 200 consecutive dermatitis patients, two (1%) were sensitive to 2% clove oil on patch testing. In a prospective study of adverse skin reactions to cosmetic ingredients identified by patch test clove oil was responsible for one case of contact dermatitis of 487 cosmetic-related cases. In a worldwide multicenter study, 42 of 218 fragrancesensitive dermatitis patients (19.3%) were sensitive to 10% clove bud oil. 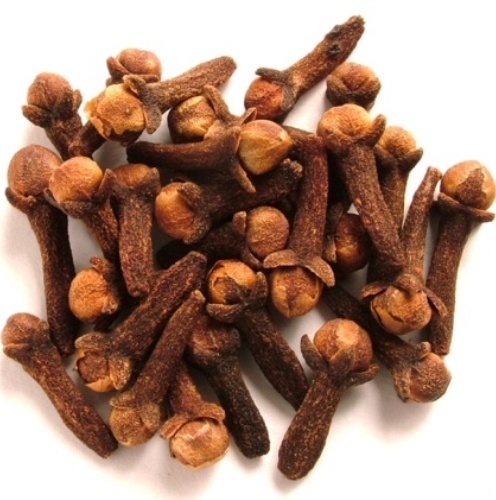 Of 713 cosmetic-sensitive dermatitis patients, one reacted to clove oil. Twelve out of 747 dermatitis patients suspected of fragrance allergy (1.6%) reacted to 2% clove oil. In a multicenter study, Germany’s IVDK reported that 103 of 6,893 dermatitis patients suspected of fragrance allergy (1.49%) tested positive to 2% clove oil. Spillage of clove oil on to the skin has caused transient irritation followed by apparent permanent anesthesia and loss of the ability to sweat by the affected area. The skin remained sensitive to deep pressure only. Cardiovascular effects Eugenol is a powerful inhibitor of platelet aggregation, an essential step in the blood clotting cascade. eugenol to pregnant mice throughout gestation caused no increase in resorption, and no detectable fetal defects, no contraindication is necessary for clove oils. Acute toxicity, human There are three reports of non-fatal oral poisoning from clove oil, all in children. 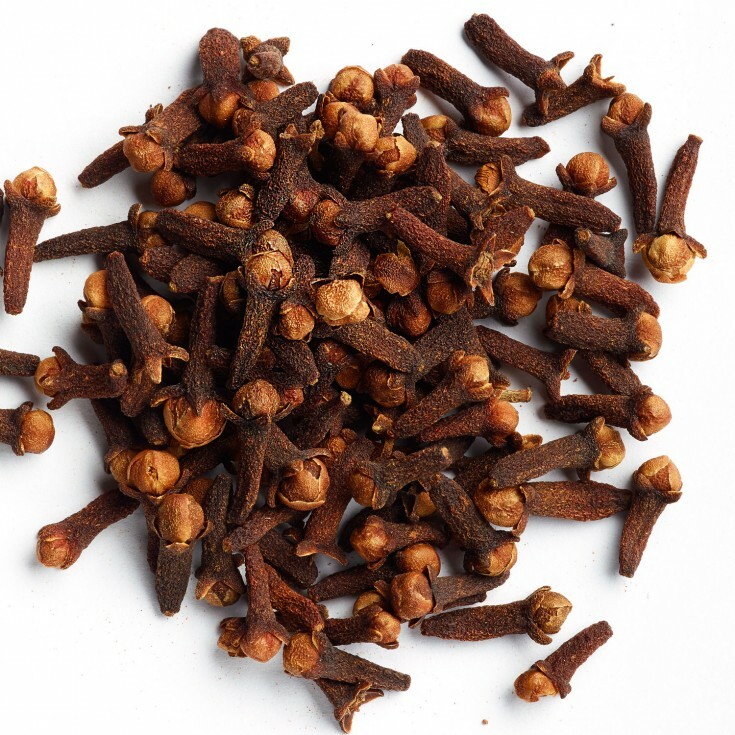 In 1991 a 7-month-old child was given one teaspoon of clove oil. Supportive care and gastric lavage were sufficient for total recovery following the resultant severe acidosis, CNS depression and urinary bnormalities. The second case involves near fatal poisoning of the acetaminophen type after ingestion of 5–10 mL of clove oil by a 2-year-old boy. Acidosis, deteriorating liver function, deep coma, generalized seizure and unrecordably low blood glucose were all noted. Heparin was given due to the possible development of disseminated intravascular coagulation. The child was fully conscious by day six and eventually made a full recovery. In the final case, a 15-month-old boy developed fulminant hepatic failure after ingesting 10 mL of clove oil. His ALT, blood urea and creatinine were all elevated. After intravenous injection of N-acetylcysteine, his liver function and clinical status improved over a period of four days. A 32-year-old woman, who self-injected an unknown quantity of clove oil intravenously, experienced acute respiratory distress due to pulmonary edema which had developed over one hour. Acute toxicity, animal Clove bud oil acute oral LD50 in rats 2.65 g/kg; acute dermal LD50 in rabbits 5 g/kg. Antioxidant/pro-oxidant activity Clove oil displays significant antioxidant activity in lipids and as a radical scavenger. In a DPPH assay, an IC50 of 0.026 mL/mL was determined for oil. Clove oil protected male rats against free radical damage from aflatoxins, which are potentially mutagenic, carcinogenic, hepatotoxic and teratogenic mycotoxins. Carcinogenic/anticarcinogenic potential Clove oil (type unspecified) was not mutagenic in the Ames test, and did not produce CA in Chinese hamster fibroblasts Methyleugenol is a rodent carcinogen if exposure is sufficiently high; anticarcinogenic activity has been reported for eugenol. Drug interactions Anticoagulant medication, because of cardiovascular effects, above. Since eugenol significantly inhibits human MAO-A, oral doses of eugenol-rich essential oils may interact with pethidine, indirect sympathomimetics, MAOIs or SSRIs. 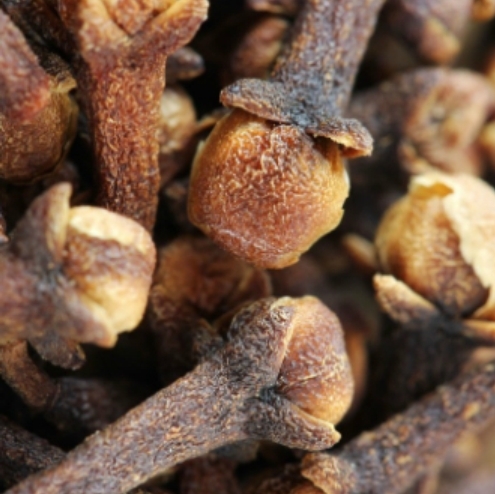 In spite of the chemical similarity between the three types of clove oil, the odor of each is different.